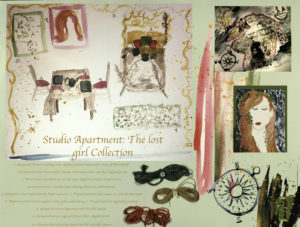 The Lost Girl is a home textile collection that communicates a sophisticated girl who loves adventure and magic. She is a dreamer and aims to keep the whimsicality alive that is drawn from her inner child. 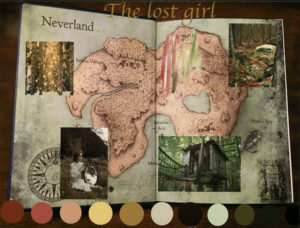 The collection and brand is inspired by Peter Pan and themes from the story of the lost boys; more specifically the idea of never growing up and keeping the magic aflame. A range of colors such as golds, reds/pinks, greens, neutrals, and blues will assist in communicating these themes in collaboration with jacquard weaving, digital printing, embroidery, and circular knitting.